I have worked as a professional web designer/developer for over 10 years. Education Summary: I gained a first at University in Media and Communication BA (Hons) where I specialised...Read moreI have worked as a professional web designer/developer for over 10 years. Education Summary: I gained a first at University in Media and Communication BA (Hons) where I specialised in web design. Previous to the above I obtained 3 A Levels an A in Media, B in English and B in Drama. I also have 10 GCSEs 5 A's, 4 B's and 1 C. In addition, I received a distinction in I.T. Michelle did a fantastic job for me. She made an urgent fix for my website within 24 hours of the proposal, plus more amends to my theme with a really quick turnaround. Everything was done just as I'd asked (and altered without complaint when I requested a few more tweaks). 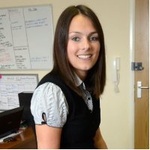 All Michelle's communications were really friendly, helpful and professional. Highly recommended.